Looking for a specific Black Panther comic? Maybe you need to refresh your cosplay wardrobe with some new bobbles? 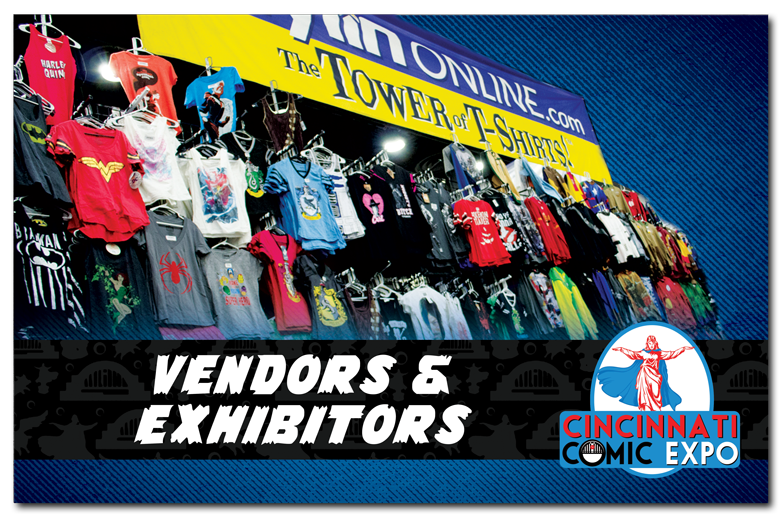 At Cincinnati Comic Expo we have one of the largest selections of comic, science fiction, cosplay, and related gear and crafts for your favorite shopping experience of the year. Get your comics, cosplay jewelry, posters, steam-punk gear, toys, and much more. With over 100,000 square feet of vendor space, we are providing the latest and greatest items on the market. Get updates on vendors when you sign up for our newsletter!